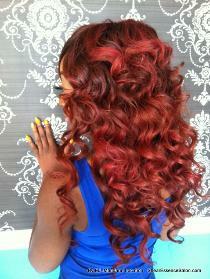 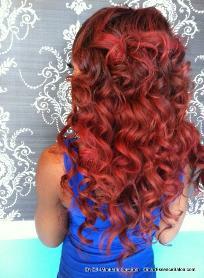 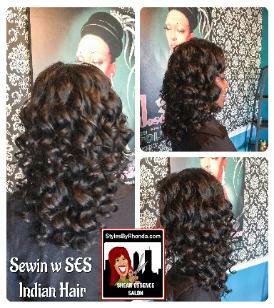 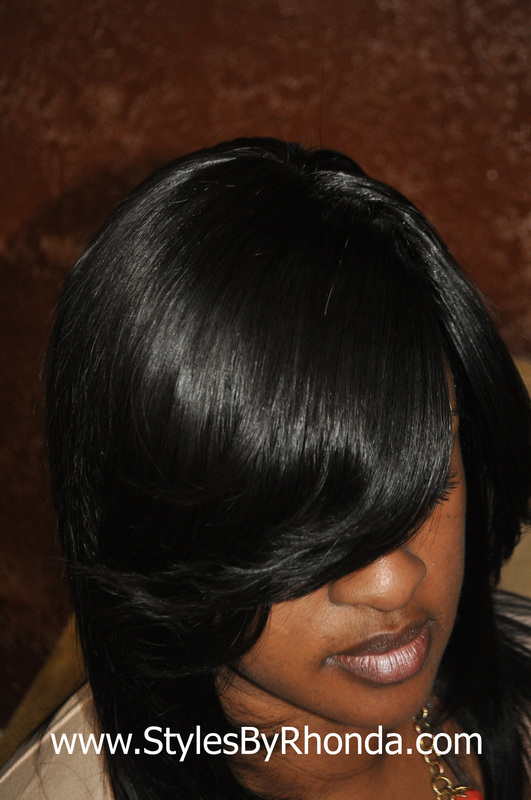 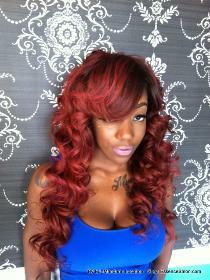 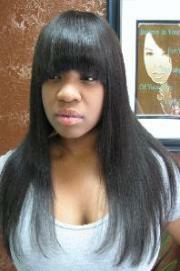 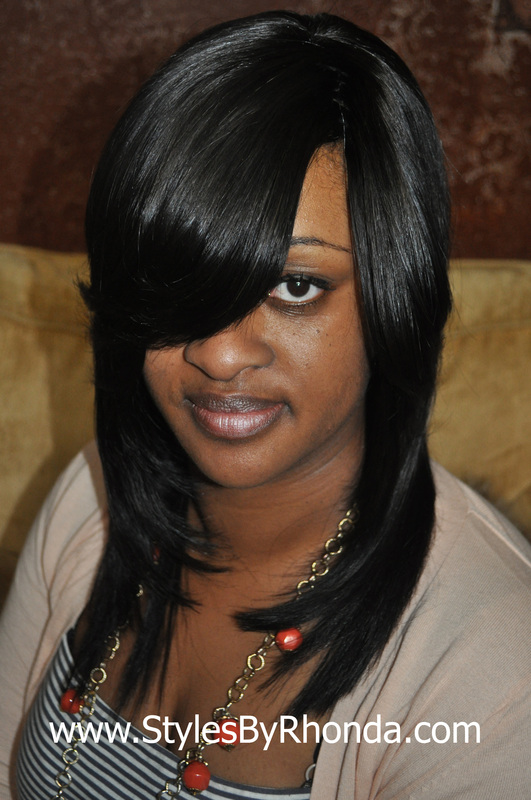 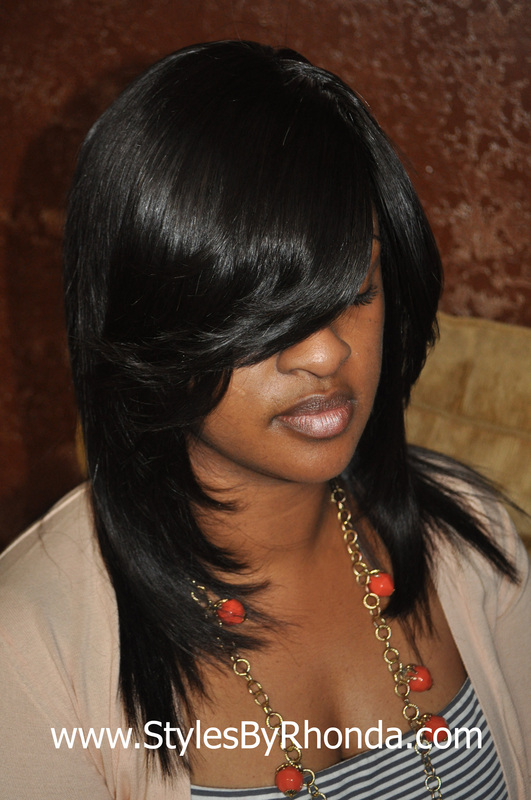 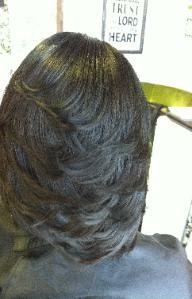 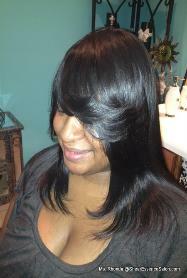 Sew-In. 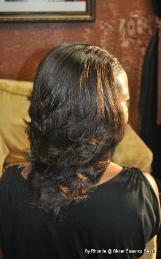 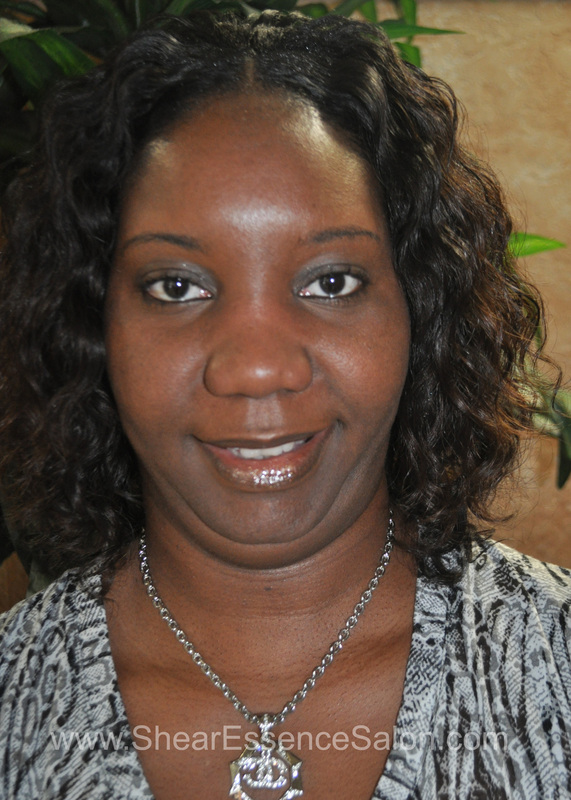 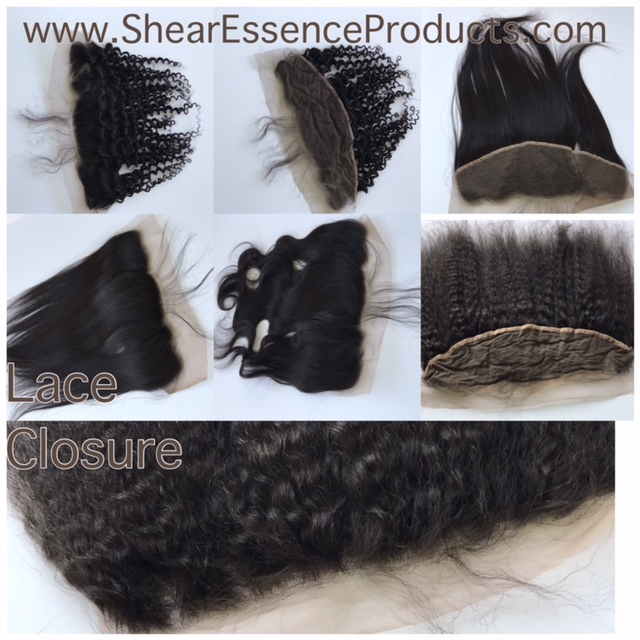 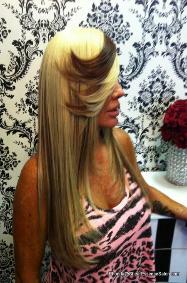 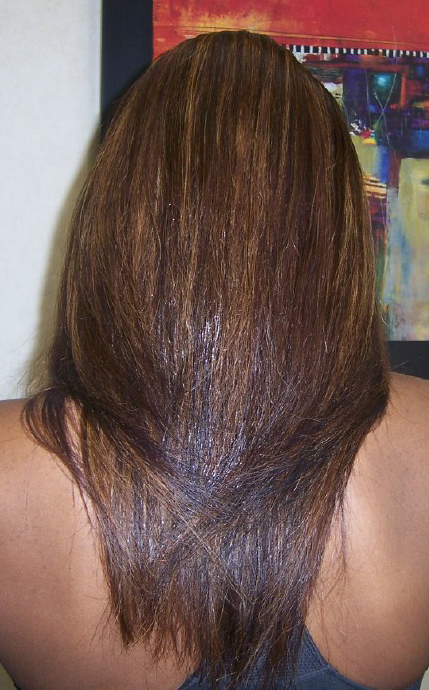 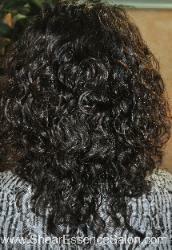 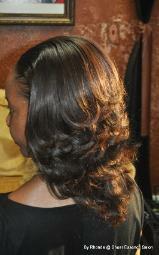 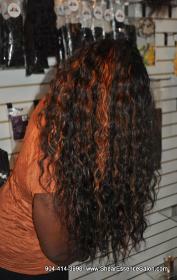 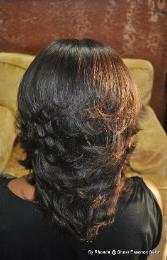 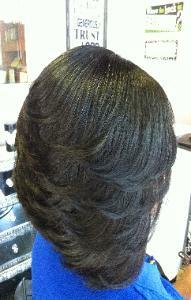 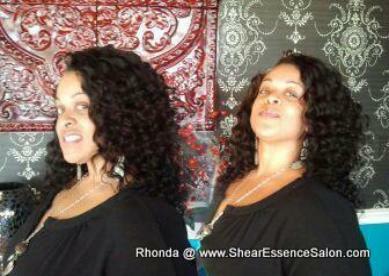 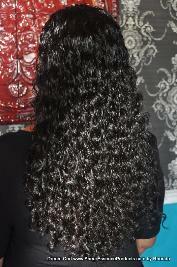 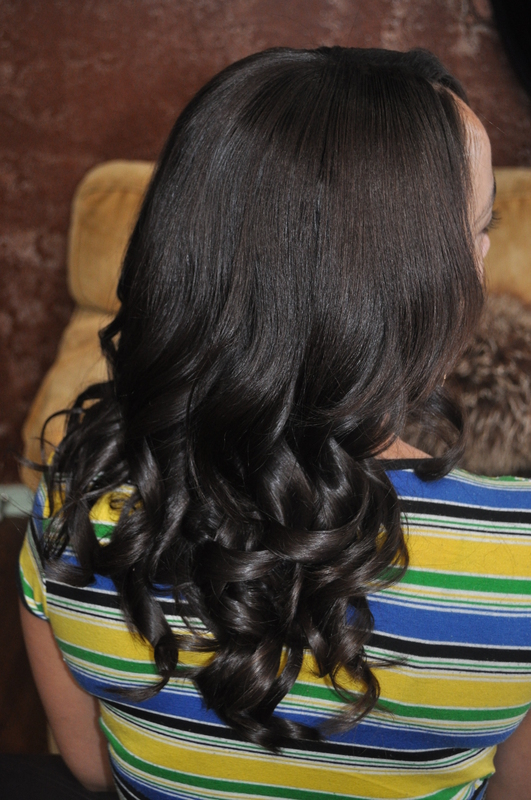 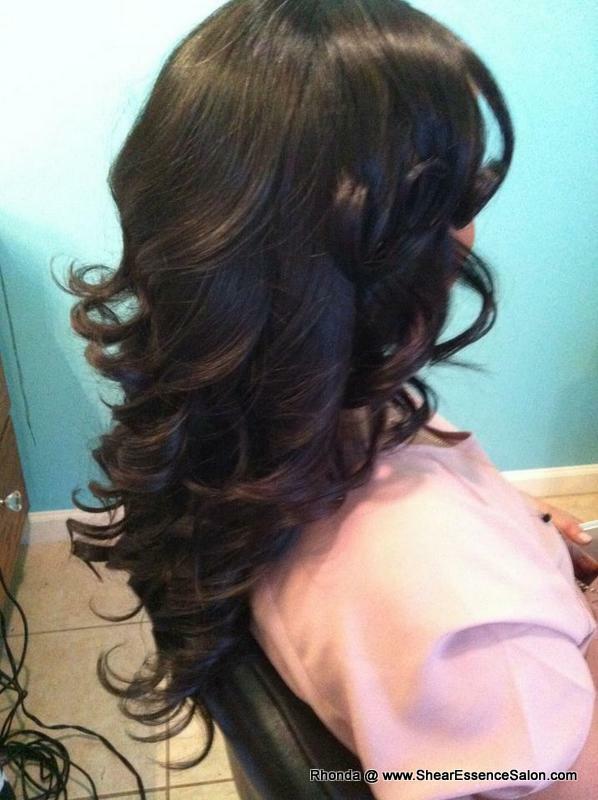 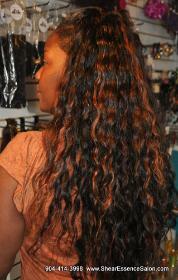 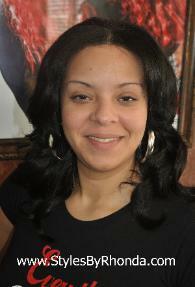 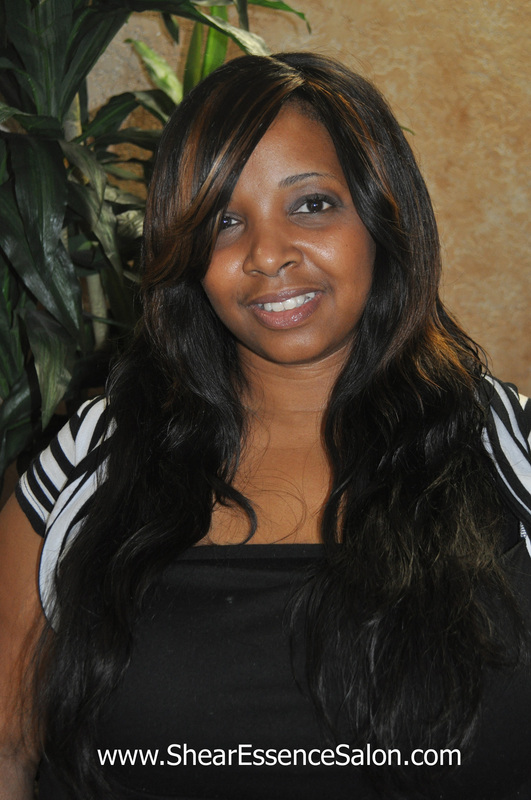 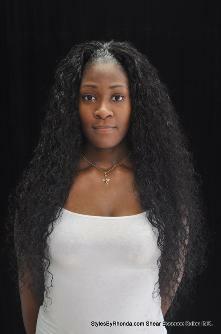 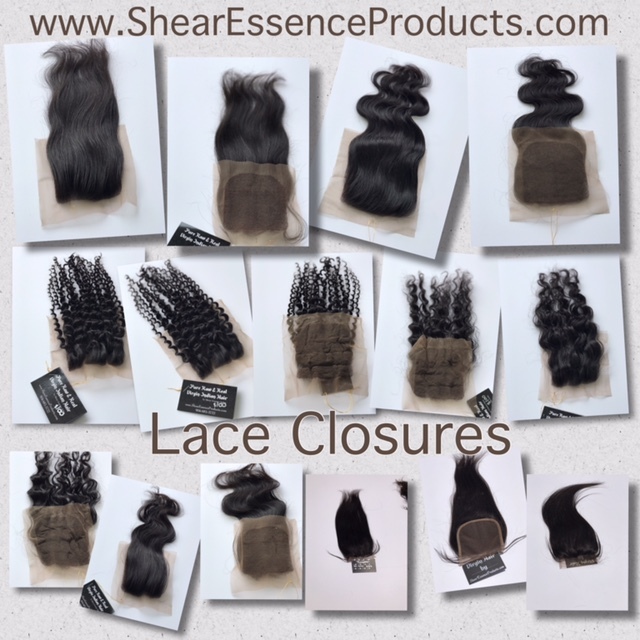 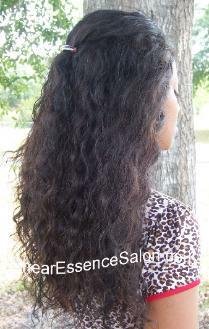 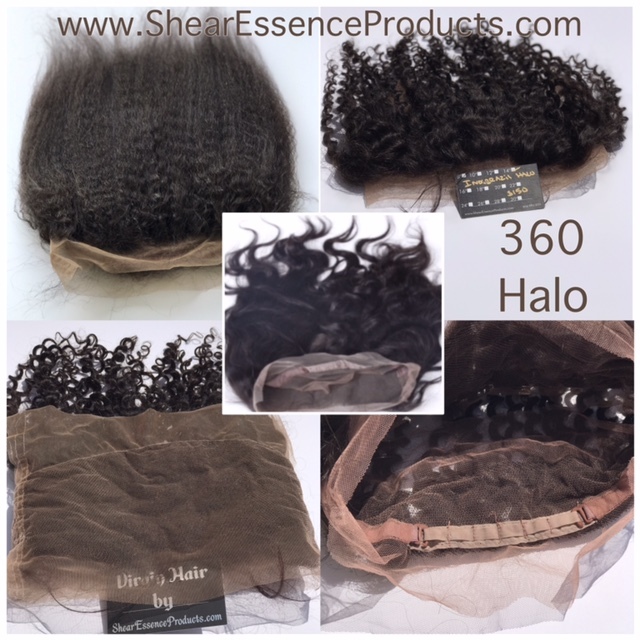 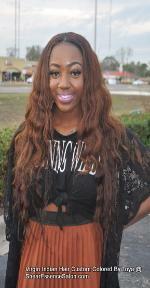 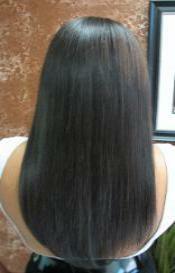 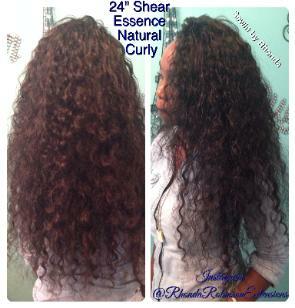 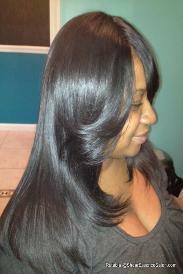 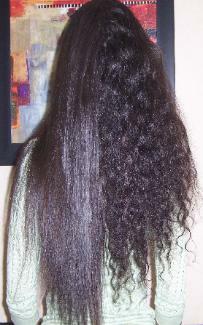 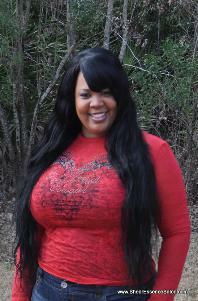 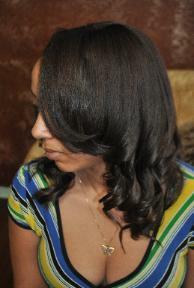 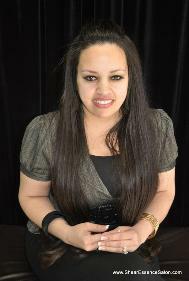 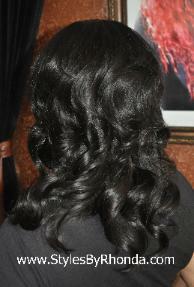 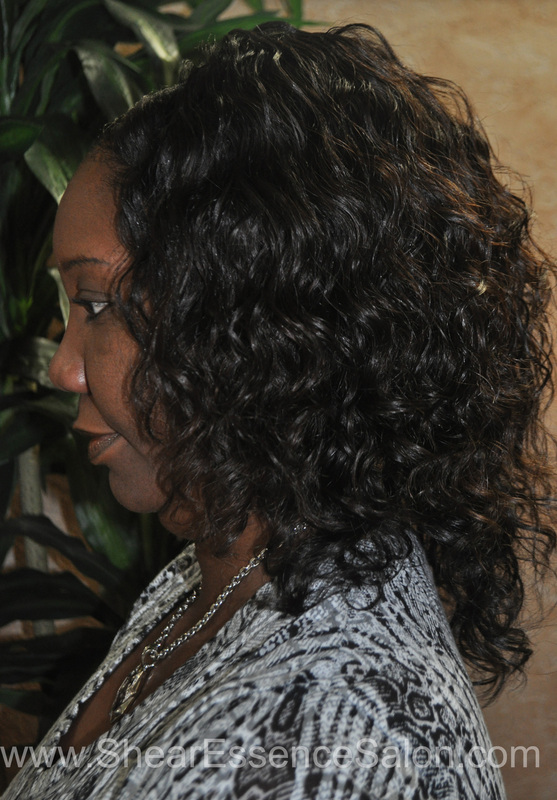 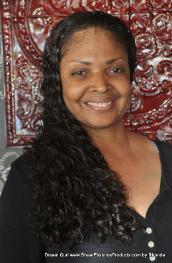 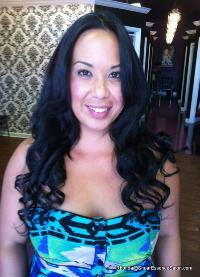 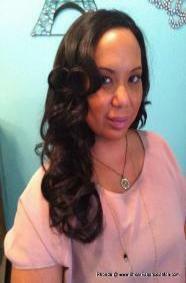 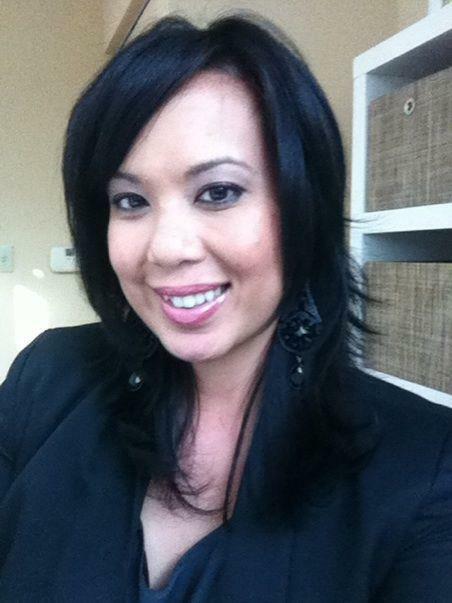 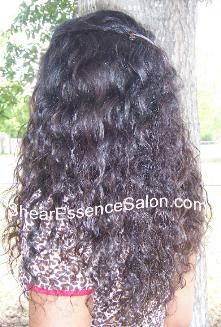 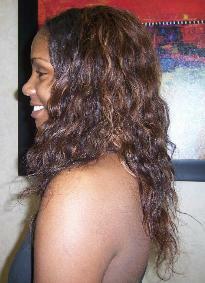 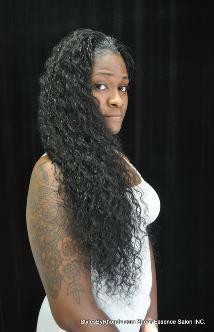 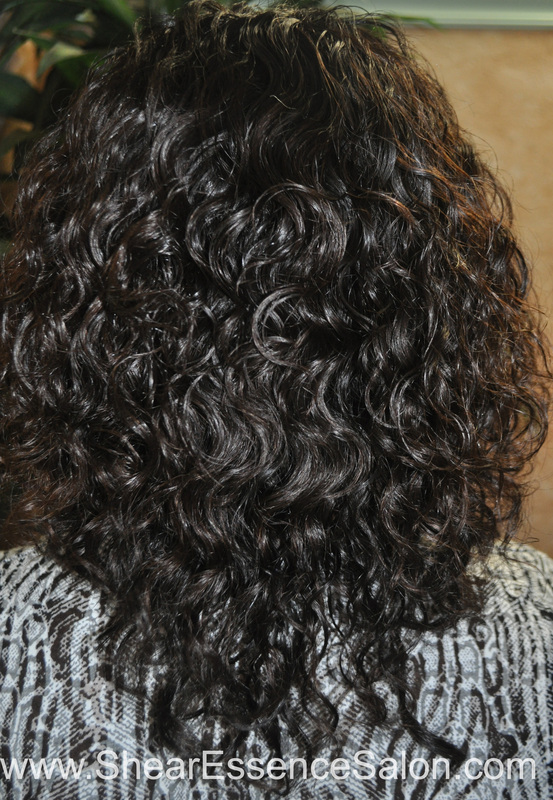 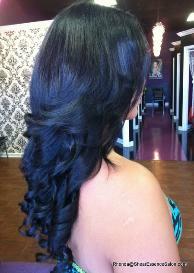 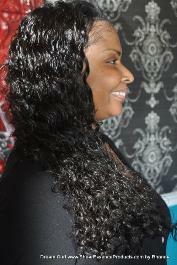 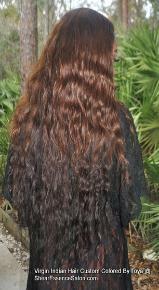 Natural Curly, Machine Weft, 10"
Flat Ironed Straight & Layer Cut. 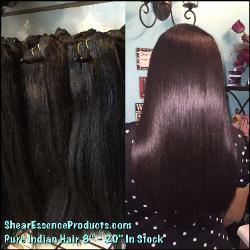 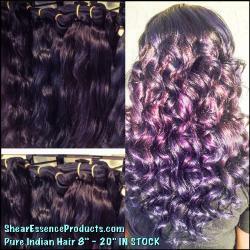 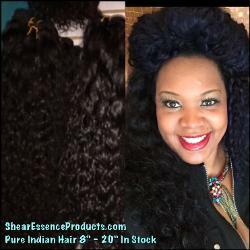 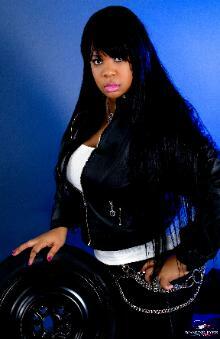 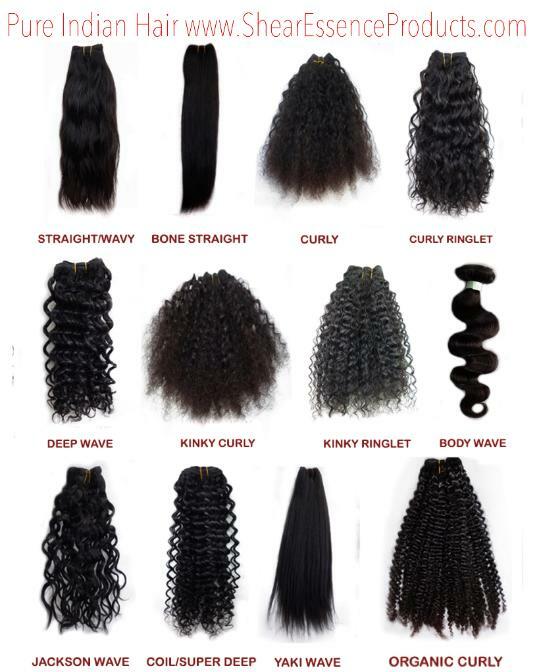 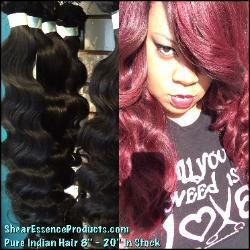 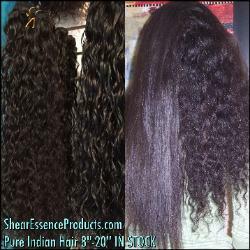 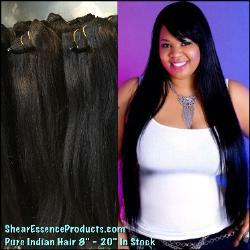 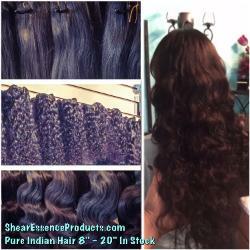 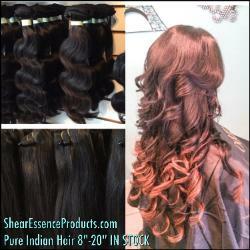 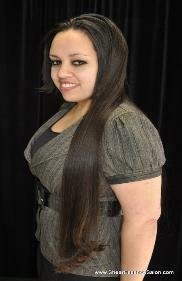 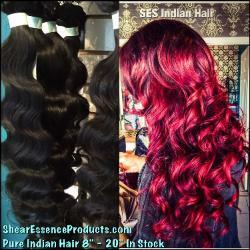 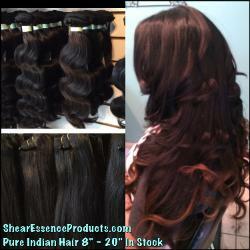 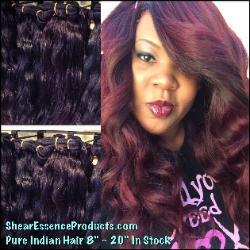 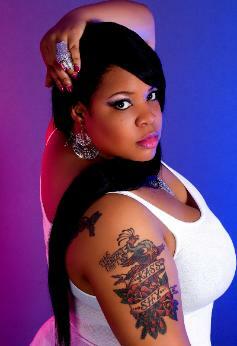 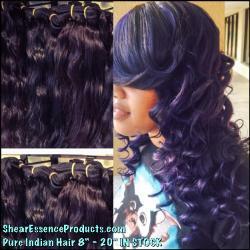 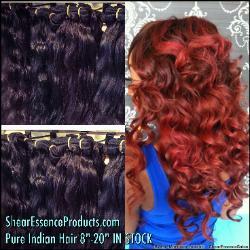 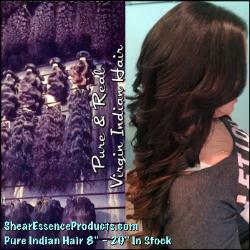 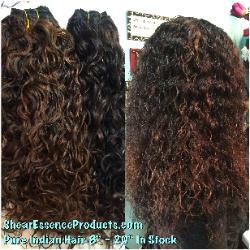 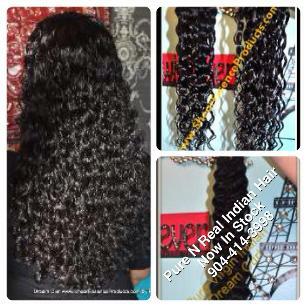 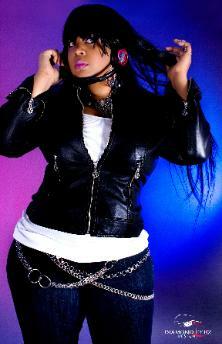 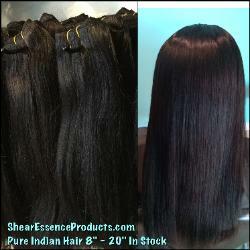 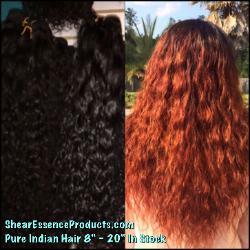 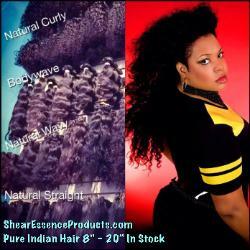 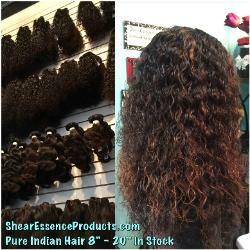 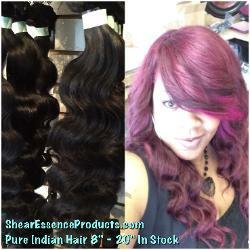 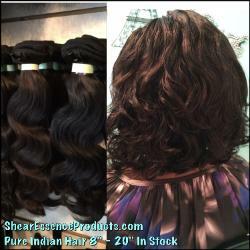 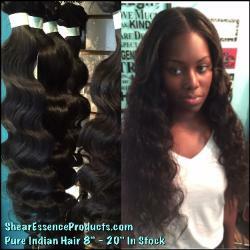 Pure & Real Indian Hair. Selling Since 2006! 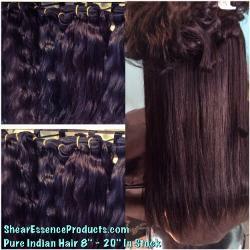 1 Bundle of 18" + 1 Bundle of 24"
Euro Bangs -Virgin Indian Straight 16"
Colored Virgin Indian Hair 2-18"
Natural Straight Virgin Indian Hair 2-16"
Our Bundles Are Fuller & Longer Than Most - THE GOOD GOOD!